For most entrepreneurs, the only thing scarier than starting a business is being forced to put that business on the line because of litigation so serious that it threatens the entire fate of the company. While it can sound a little misleading, “Bet-the-Company” litigation is any type of litigation that threatens the company’s continued existence. This can include the loss of key talent, a government investigation, or a civil judgment that could render the company insolvent. For better or worse, this type of trial work is on the rise. “Bet-the-company” litigation has quadrupled since 2014, according to research from BTI Consulting Group. 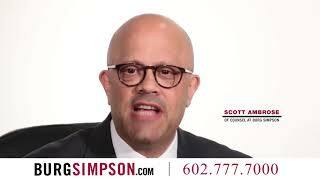 If your company has been caught in a “bet the company” case, and you need legal help, call the Colorado corporate litigation attorneys at Burg Simpson now at 303-792-5595. Minority shareholder litigation: These cases can result in the sale of the company – or parts of it – to appease a minority shareholder judgment or demands. Trade secret litigation: An ex-employee who has absconded with company trade secrets can fall in to this area of law. Intellectual property litigation: If a company is prevented from doing business because they are unable to rely on their own intellectual property generally falls into this category. Product liability cases: Lawsuits over a potential product liability could threaten the future livelihood of a company. Industrial accidents: The BP oil spill in the Gulf of Mexico is just one example of how a large-scale accident could put a company at risk. This type of litigation can remake the entire landscape of a company, whether it involves contracts, corporate or partnership law, securities, antitrust, intellectual property, or product liability. Involvement in this type of high-stakes, complex litigation, whether as a plaintiff or defendant, demands a sophisticated and multi-faceted approach that can be too much for in-house counsel. These cases can involve several interested parties, such as investors, shareholders, and regulatory entities. These cases can even include multiple jurisdictions, such as both state and federal authorities. Aggressive, powerful, results-oriented advocacy is required, and the Colorado corporate litigation lawyers can help. 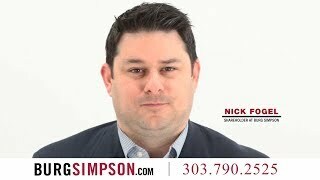 Call Burg Simpson today at 303-792-5595 to discuss your case. The Colorado commercial litigation lawyers at Burg Simpson provide sophisticated representation to every type and size of businesses, from large Fortune 500 corporations to smaller family-owned businesses. We have earned an unmatched reputation as one of the premier trial firms in the country. You can rest assured that we will work tirelessly to bring your case to a favorable resolution, whether by trial in front of a judge or jury, arbitration, or through settlement negotiations. Our Colorado bad faith insurance lawyers are admitted in several states and federal courts around the country, so we can handle any national case. Our mission is to provide the best goal-oriented, cost-effective representation possible. Every action we take is for the specific purpose of achieving the goals agreed to with the client before we even begin to pursue the case. We believe success comes not just by prevailing in your particular case, but by doing it in such a way that advances the best interest of our clients outside of the courtroom, as well. 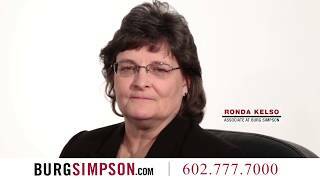 We are a collaborative team made up of firm shareholders, senior lawyers, associates, paralegals, and a former judge. We are able to provide high-level, in-depth research, along with top-notch writing and analytical services to all of our business clients. Every company’s situation is unique, and “Bet-the-company” litigation is as complicated as it gets. There is nothing wrong with seeking outside legal assistance to protect your legal rights and save the company you have worked so hard to build. Reach out to our experienced Colorado corporate litigation attorneys right now by calling 303-792-5595 to get the help you need.